Introducing the Elementa Advance! Make no mistake, this is not the Elementa of old. The Elementa Advance line is completely new; designed from the ground up. It offers audiophiles an excellent cable solution that falls between the Musaeus and the 20th Anniversary Aqueous. This line of cables expands on our fluid shielding technology; which has excellent mechanical dampening. The Elementa Adavance is an extremely musical cable with a sweet top end and a robust low end. 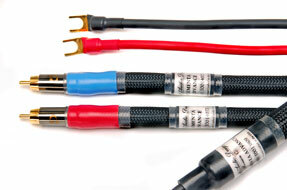 The Elementa Advance line includes interconnects (single-ended and Balanced) and speaker cables (with a true bi-wire). The Elementa Advance also uses Purist Audio Design's newly redesigned spades for a more secure fit.